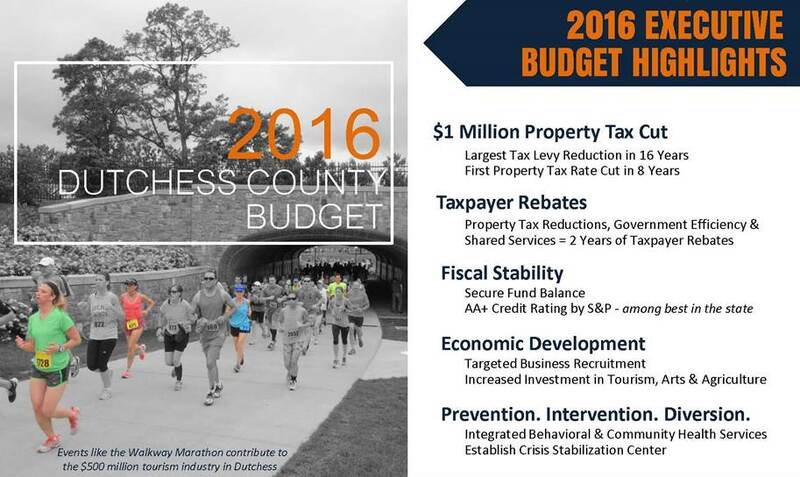 The 2016 Dutchess County Budget was adopted on Thursday, December 3rd in 19-4 bipartisan vote by the Dutchess County Legislature. The adopted budget included the largest property tax levy cut in 16 years, the first property tax rate cut in 8 years, decreased spending, and ensured taxpayer rebates checks in 2016 for the second consecutive year – all while maintaining core county services. Read County Executive Molinaro’s memo to the County Legislature regarding the 2016 Adopted Budget.